I was recently reading a great excerpt from Pastor O.S. 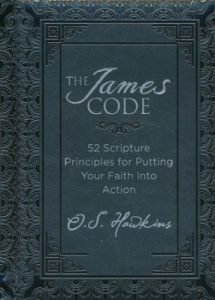 Hawkins’s book, The James Code, about the apostle James and how the early church began. James was such a force back in those early days, laying the foundation of the church. But, he didn’t do it alone. He had a partner in Peter, not to mention a solid handful of devoted Christians. Together, they birthed the church. It was a new beginning for everyone, perhaps for Peter most of all. You probably remember how devoted Peter was to Jesus, even to the point of boasting about it. He proudly proclaimed to Jesus that even if everyone else turned away from Him, Peter never would deny Him (Matthew 26:33-35). Of course, it didn’t take much for him to crumble the night of Jesus’s arrest. Prideful attitudes tend to end up like that. And so, Peter denied Jesus three times before the rooster crowed announcing the coming sunrise, just as Jesus had predicted. Weeks later, after Jesus’ resurrection, Peter got an unexpected surprise. Jesus appeared to His disciples one morning on a beach where He cooked breakfast. After they ate, Jesus took Peter aside to ask him a question. Beginning in John 21:15, Jesus asks Peter three times, “Do you love Me?” I don’t think it was meant to make Peter feel bad for his denials, but Jesus was surely testing Peter and offering him a second chance. Each time Jesus asked Do you love Me? Peter grew more humble. Note that Jesus asked him this question three times. It’s the same number of times that Peter denied knowing the Lord. Coincidence? I doubt it. Jesus is always intentional in His words and actions. So, we can safely assume that because it took three denials for Peter to feel ashamed and it took three questions about his love for Jesus to restore Peter’s heart. Jesus gave Peter a new beginning. Peter’s answer to each question was essentially the same- “Yes, Lord, You know that I love You,” (v.15, 16, 17). With each “yes,” Peter’s forgiveness was solidified. Love had won again. That’s when Jesus instructed Peter to take care of His sheep. 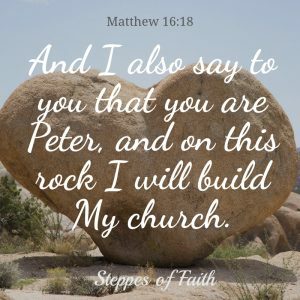 The church was born, and Peter would be the rock (one of many) upon which it would be built. 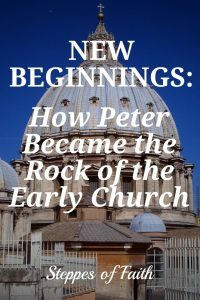 The church had a new beginning…and so did Peter. It was extremely important for Peter to understand the seriousness of what Jesus was asking him. Yes, Jesus’ grace was restoring Peter, but he was also being asked to personally tend to the new Christians (Jesus’ sheep) so they would spread the good news of the Gospel. That’s no easy job. So, Jesus asked Peter “Do you love Me?” not once, but three times. Peter needed to not only fully grasp the enormity of the job ahead of him, Jesus was also impressing on Peter that he needed to love God unconditionally and have total devotion to the church. Repeated instructions or questions always implies extraordinary importance. Peter was being called to a higher purpose than just being a follower. He was going to be a leader, the rock of the church. Jesus didn’t want Peter to miss that point because he was going to be instrumental in paving the way for the church to glorify God and lead others to salvation for centuries to come. 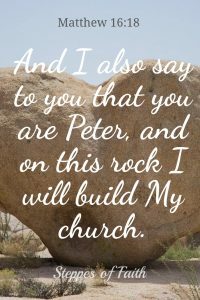 We can’t forget that even though Peter became the rock of the church, the real rock is Jesus. He is the Rock on which we stand through every circumstance. 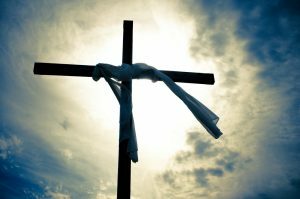 He is the rock of our salvation (Deuteronomy 32:15; 2 Samuel 22:47; Psalm 89:26; 95:1), our everlasting strength (Isaiah 26:4), the Alpha and Omega, the Beginning and the End (Revelation 22:13). Jesus asked Peter three times if he loved Him, if he truly and unconditionally loved Him. Do you? Try asking yourself slowly three times if you love Him. Ask the deepest part of your heart and then pay attention to the answer. Your third response might surprise you just as it did Peter. Let Jesus fill you with His grace and peace as you lean in closer to Him. Stand on the rock of His faithfulness. He will give you a new beginning, one you could never have imagined. Isn’t it wonderful that Jesus restores us to new beginnings? How has He offered you a new start? 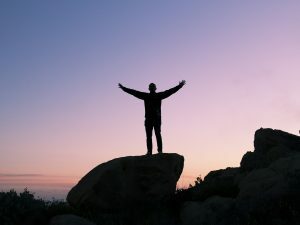 How did it change your life? Share your story with us. Let’s build each other up by reminding ourselves of God’s enduring faithfulness. Peter was well-known for having poor manners and impulse issues, but he set a great example of excitement and devotion to the Lord. 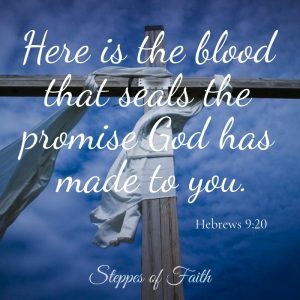 You can read about a few of his more famous moments and how you can apply it to your faith walk in this article I wrote several months ago here on Steppes of Faith. Put your faith into action! Through 52 lessons on the Book of James, Hawkins encourages you to not only receive God’s blessings but also to pass them along. Topics include stress, temptation, money, war, Christ’s return, and more. Arranged in a yearlong study format, each chapter also features a “Just Do It” summary and application. 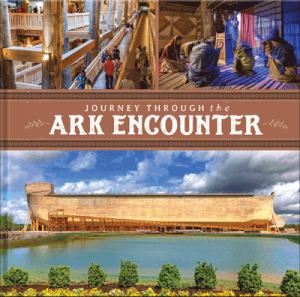 You can order your copy over at Christianbook.com (NOT an affiliate link). I’ve been studying Peter in Acts, and it’s amazing how God uses people of all personalities to spread His truth. 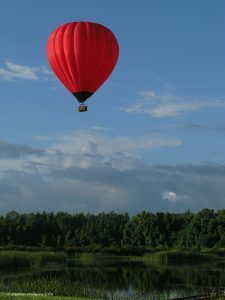 Like you mentioned, Peter was impulsive with what he did and said, but God used that for His glory! He certainly did! I’m so thankful He uses all of us to accomplish His plans even when we think we’re not qualified. Thanks for stopping by, Emily! Jesus’ restoration of Peter has been so precious to me. 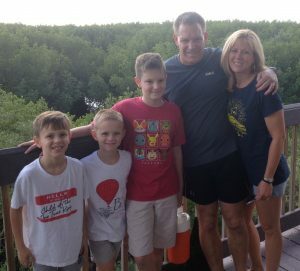 A number of years ago, God used that story to profoundly welcome me back to Him. You’ve penned something here that God can use to reach others who also need to be restored and given sacred job assignments. Thank you so much. Thank you, Linda. I’m so glad you responded to the Lord’s calling. He desires all of us to be restored in Him. I can think of no greater joy. May the Lord continue to bless you. Thanks for reading!